The top performers in our review are MacGourmet Deluxe, the Gold Award winner; Cook'n Recipe Organizer, the Silver Award winner; and Computer Cuisine Deluxe, the Bronze Award winner. Here’s more on choosing a program to meet your needs, along with details on how we arrived at our ranking of 10 products. If you're like most cooks, you probably already have a system worked out for storing recipes on your computer. Since you can find most recipes you want online, investing in recipe software may seem unnecessary. However, Mac cookbook software has a wealth of tools that go beyond what even the most organized cooks could do on their own. Some of these recipe organizers come with hundreds or even thousands of preinstalled recipes or give you exclusive access to a vast library of recipes online. Most Mac recipe software also lets you import and export recipes that you find online or have in your personal recipe files. The ability to import and store them all in one place is an enormous convenience. You can plan out meals by the day, week or month and get nutritional information about each recipe with the click of a button. While this lineup focuses exclusively on the best Mac recipe software we found, if you use a PC or want to access recipes through your Android device, our cookbook and recipe software reviews may be more helpful. For more information, check out our articles on cookbook and recipe software. A recipe software package should have all the essentials, such as tools that let you import, organize and manage your recipes. It should also have extras to accommodate your family's specific needs. If you're cooking for several people, you'll want a program that automatically adjusts the ingredients based on the number of people. You'll also want software that helps you with shopping lists so you don't have to make multiple trips to the store. We selected recipe management software that lets you easily import recipes into your database and effectively organize and file them. Although many people cite cooking as a favorite pastime, it can be a hassle to attend to all of the small details in the kitchen, both prior to and during cooking. You want software that acts as an electronic organizer, putting your favorite recipes at your fingertips and allowing you to focus on preparing food, not finding recipes. 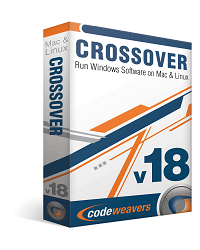 As we used and evaluated the software featured in our reviews, we found some vital criteria for choosing the best Mac recipe software. The best recipe programs offer a plethora of options for documenting and editing items in the recipe database. First, programs should include preinstalled recipes to get you started. Each Mac recipe manager should have numerous fields for various information, such as the recipe source, cooking notes or variations, food and beverage pairings, substitutions, serving size adjustments, and preference and difficulty ratings. Finding the right recipe for the right occasion can be a daunting task if you have hundreds or even thousands of dishes saved on your Mac. Make sure the program you purchase has great search options that let you find recipes quickly. These include the ability to search by title, keyword or ingredient, but also more specific searches such as cooking method, preparation time and rating. You want to be equipped with all the tools you need to make the cooking experience as seamless as possible. Searching through a box of 8 x 5 index cards for the right recipe is as obsolete as card catalogs at the local library. But this software goes beyond mere electronic convenience. The best Mac recipe software lets you sync your PC recipe files with an iPhone app, so when you import recipes you find online, they automatically transfer to your iPhone. You can adjust serving sizes in real time on your mobile device as you prepare food if you're using a new recipe with a big group. Mac recipe software should also make it easy to share recipes online, print them off individually or collect them in book form. Recipe software requires a specific type of user interface to be useful in the kitchen. You don't want to get flour or sauce on your Mac while you prepare your favorite meals, so look for programs that have a cooking view, or hands-free options. For when you're not cooking, make sure the program has an easy-to-use interface that makes recipe creation, meal planning and any other task simple and intuitive. The best recipe software for Mac allows you to create menu plans weeks or even months in advance so you can stay organized and maintain a healthy diet. Many programs also allow you to create shopping lists, which is convenient because it lets you keep track of your inventory. It also streamlines the shopping process, reducing the time spent figuring out what you need from the store. It all but eliminates extra trips to the store because you forgot important ingredients. Also look for programs that can tell you the nutritional value of recipes and individual ingredients. If you're short on time, many programs give you suggestions of dishes you can make with what you have on hand. Resources to answer your questions are a vital part of any software package. 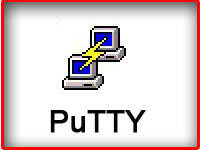 Most programs provide access to resources such as communication with other users via online forums, which is very useful. 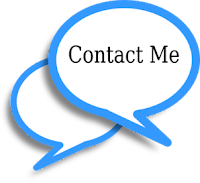 Also look for programs that offer email support, online manuals, how-to sections and video tutorials. We identified the best cookbook and recipe software for Macs on the market. The best options are MacGourmet Deluxe, Cook'n Recipe Organizer and Computer Cuisine Deluxe. Each has a lot to offer in terms of keeping your library of recipes organized and up to date. MacGourmet has stellar cooking tools that let you plan meals weeks in advance and generate advanced shopping lists. Cook'n Recipe Organizer provides excellent help with setting nutritional values and serving sizes for your family, and it goes beyond lists to offer shopping strategies. Computer Cuisine Deluxe has more than 1,000 preloaded recipes and an attractive, easy-to-navigate user interface. When choosing cookbook and recipe software for your Mac, first decide what your needs are. If you are a gourmet cook, you may want features that allow you to edit recipes and change serving sizes. However, if you don't cook for many people, you may find that more basic Mac recipe software suits you best. One such basic software package is Paprika Recipe Manager, an inexpensive program that doesn't come with preloaded recipes but lets you add your own recipes quickly and easily. Mac recipe software makes recipe collection a simple and painless task. The best recipe software for Mac combines extensive recipe management tools, effective meal-planning capabilities, a simple user interface and great support options. Our Mac recipe software reviews help you narrow down your choices and find the program that works best for you. PROS / MacGourmet Deluxe has an excellent menu planner that allows you to plan your meals weeks in advance. CONS / The number of preloaded recipes is somewhat limited. VERDICT / MacGourmet is the best Mac recipe software we reviewed because of its exceptional features and easy-to-use interface. 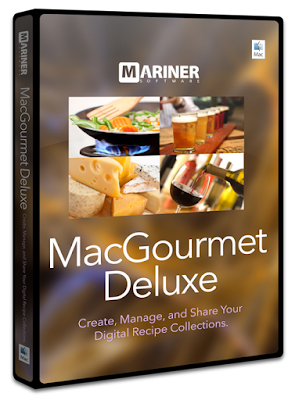 MacGourmet Deluxe is among the best-known recipe programs on the market. It offers an impressive combination of tools such as smart lists and detailed search options. MacGourmet's advanced features and ease of use make it our top choice among the Mac recipe software we reviewed and winner of our Top Ten Reviews Gold Award.